The Reva & David Logan Foundation has been a valued patron of the Fund for Investigative Journalism, and we are grateful for its continued generosity. The foundation recently awarded FIJ another $85,000 – the fourth year it has supported our mission of funding independent investigative journalists. “This gift is an honor and a challenge: It recognizes the impact of investigations we’ve underwritten, and pushes us to seek out projects with the potential to bring about important social change,” said FIJ’s board president, Ricardo Sandoval Palos. —Adriana Cardona-Maguigad won two prestigious awards – the Sigma Delta Chi award for radio documentaries and an Edward R. Murrow Award – for her investigation into how drug addicts from Puerto Rico end up on Chicago’s streets. —The Kentucky Center for Investigative Reporting won an Edward R. Murrow Award and recognition from IRE for its report on an entrenched system of political employees that soaks up $2 million in taxpayer dollars each year. —Susan Southard received the Dayton Literary Peace Prize and the J. Anthony Lukas Book Prize for her debut nonfiction book, “Nagasaki: Life After Nuclear War,” about the second atomic bomb dropped on Japan during World War II. —City Limits and its reporter Kate Pastor garnered award-winning praise from the New York Press Club for an ongoing series on housing. —Francesca Lyman received an “Arlene Award for Writing that Makes a Difference” from the American Society of Journalists and Authors for her expose on thrift stores for InvestigateWest. —Halle Stockton was a 2016 finalist for the Livingston Award for Young Journalists for her PublicSource series on psychotropic drugs prescribed to juvenile offenders. The trafficking of stolen cultural or historical artifacts is a worldwide concern, but an underreported one. David Hidalgo and the Peruvian investigative site Ojo Público launched an online catalogue of stolen artifacts that could help draw attention to the problem. 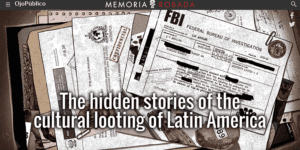 Four independent teams across Latin America contributed to the cross-border endeavor, which included investigative journalists, computer programmers and data analysts. Relying on information collected from government agencies, independent organizations and Interpol, the group amassed a census of stolen art that begins to reveal the reach of a global network of smuggled items that the United Nations says generates billions of dollars in illegal profits. 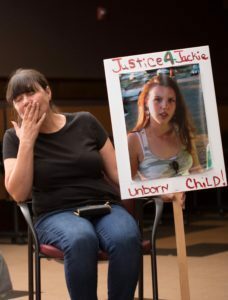 The death of Jackie Salyers, a pregnant 32-year-old Puyallup tribal member, went mostly unnoticed when police in Tacoma, Washington, shot her in the head in January. As publicity over police shootings intensifies, scant attention has been focused on Native Americans who are killed by authorities, according to Stephanie Woodard’s report for “In These Times.” According to data from the Centers for Disease Control and multiple other tabulations, police kill Native Americans at a rate higher than any other group. Inspired by the “Idle No More” and “Black Lives Matter” campaigns, Native Americans are working to focus attention on police-related deaths in their communities and address the root causes of the violence. The Navy’s aging fleet of minesweeping helicopters is in disrepair. In fact, less than a fourth of the 28 remaining Sea Dragons are in flying shape at any given time, according to a two-part report by Mike Hixenbaugh and Jason Paladino in The Virginian-Pilot. 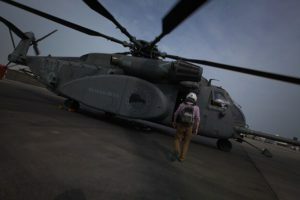 In partnership with UC Berkeley’s Investigative Reporting Program, the pair reported that the Navy needs to keep the Sea Dragon in service through at least 2025, and likely for years beyond that, because there is no viable replacement for the aircraft – despite the growing threat posed by mines. More than a quarter-million ocean mines are held in the inventories of 50 navies around the world, including Iran, China and North Korea. 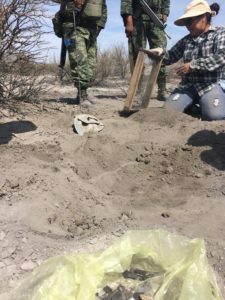 No one really knows how many people are buried in clandestine graves across Mexico in the wake of the country’s drug wars. Mexican officials say 662 bodies were found in 201 graves in 16 Mexican states between August 2006 and October 2015. But as Dawn Paley reported for The Nation, the tally could be far more staggering: During the same period, newspapers reported at least 2,439 bodies discovered in 30 of Mexico’s 31 states, as well as in Mexico City. Meanwhile self-taught search teams fan out in search of loved ones, relying on hand-drawn maps, messages on WhatsApp and Facebook and tips from folks who speak of bodies being buried late into the night.